L. intermedia of Michigan Flora. Oak-hickory forests; dry savannas, plains, and bluffs. The distinction between this species and L. frutescens is not clear-cut on the basis of leaflet shape alone, although the separation from L. virginica is quite clear. The hybrid with L. hirta (L. ×nuttallii Darl.) 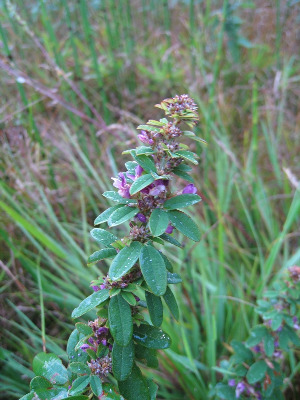 has spreading hairs on the stem (as in L. procumbens) but otherwise may resemble L. violacea. It is known from quite a number of counties. One collection from Oakland Co. has the aspect of L. frutescens but the keel is distinctly shorter than the wings and standard, and it may be L. frutescens × L. violacea. MICHIGAN FLORA ONLINE. A. A. Reznicek, E. G. Voss, & B. S. Walters. February 2011. University of Michigan. Web. 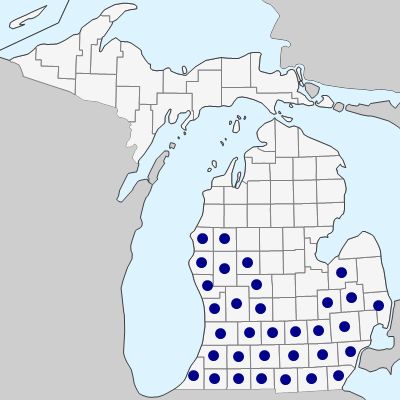 April 18, 2019. https://michiganflora.net/species.aspx?id=1320.